A soft-shell for your head. 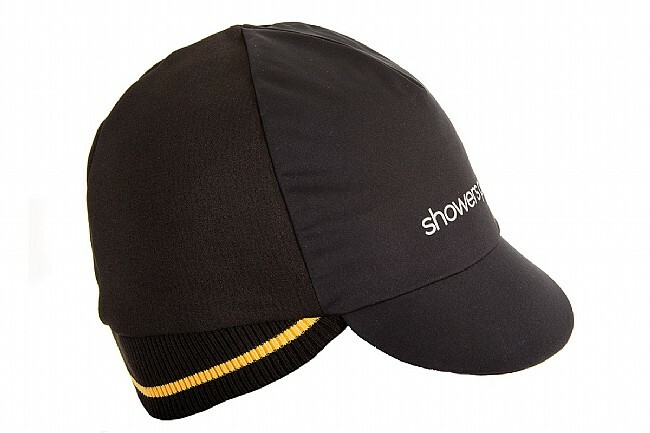 The Showers Pass Skyline Cap goes great underneath your helmet for a cold and rainy ride to keep you extra warm. The soft-shell construction features waterproof panels on the front and the brim and a cozy knitted band that stretches over the ears for additional protection. Reflective logos are printed on the front, brim, and left side. This cap is good in the rain and great in the cold with covering for your ears. And it fits well under a helmet, even with the ear covering flipped up. A versatile piece of clothing. This was a Christmas present for my husband. 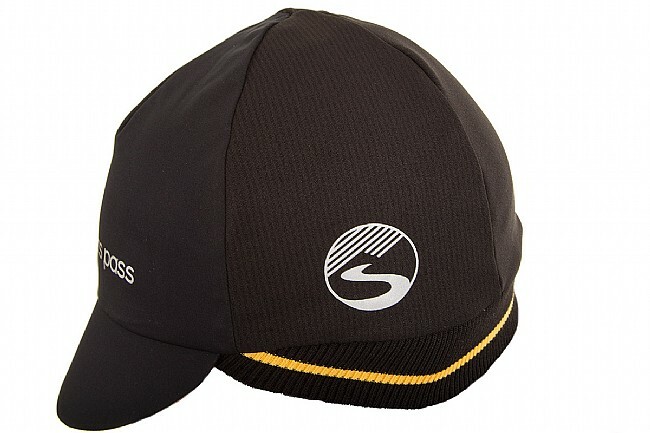 It's an old school classic style and it replaced a 30 year old worn and tattered wool cycling cap. He absolutely loves it! He wears it every day, all day long, during the cold months and it keeps his head warm and dry. Whether he'll actually wear it cycling under a helmet, probably not. But I will say it won't leave his head until the temps warm up! This is a well-made warm hat that works great for walking the dog but is useless as a cycling hat. The brim is too floppy and even the slightest headwind will cause it to bend down into your field of vision. I have tried it under several different helmets and it does the same thing. This hat is very comfortable and warm. I use it almost everyday that is above freezing. The knit sides work great with glasses and the bill keeps most of the rain off of my glasses. Sometimes the hat wants to rotate forward because of the way it fits under my helmet. It is a small nit to pick and I put up with it because the hat is so comfortable to wear. Cap works great, keeps my ears warm and doesn't bunch up too much. It's decent hat, well made, fairly warm and repels water. The bill is a little flimsy (thin), but it still works after many months. Once I'm warmed up it works to about freezing. It doesn't cover my ears though so if you have a big head it will need help. I use a cheap knit head band for riding in the 30's and a fleece one in addition to a barrier cap and thin balaclava for riding down to zero with no complaints.